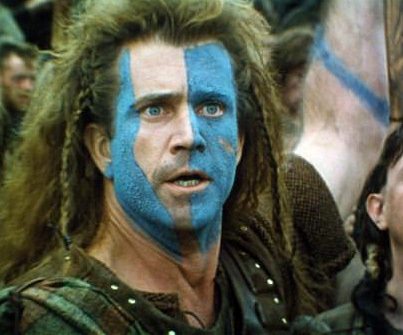 I first came to Turkey just after Mel Gibson and his team won five Oscars for their 1995 cinematic hit, ‘Braveheart’. For some reason that romanticised tale of kilted Scots fighting manfully but futilely against their powerful southern neighbour struck a chord or two with Turkish audiences. The film ran for three years in Istanbul cinemas without a break. ‘Titanic’ didn’t come close in this part of the world! I’m sure you remember the final stomach-churning scenes of the film, where the defeated but unrepentant William Wallace is hanged, drawn and quartered by his English conquerors as an example to others who might seek to emulate his troublesome ways. Wallace’s tormentor gives him the option of a quick death on condition of swearing allegiance to His Majesty, the King of England. However, the Scots hero draws strength to undergo the agony ahead from a small boy in the crowd, who will clearly carry on the fight if Gibson (sorry, Wallace) shows the necessary fortitude. Scotland was an independent nation in those days – we’re talking about the early 14th century – so it was perhaps a bit rough to treat Wallace as a traitor. Nevertheless, that gruesome punishment remained in force in the United Kingdom for the crime of high treason into comparatively modern times. The Crowns and Parliaments of Scotland had been well united by the time Prince Charlie led his ill-fated rebellion against King George II in 1745. It was only 60 years since his grandfather, James II, had allowed Judge Jeffreys to butcher survivors of the Monmouth Rebellion, so the Bonny Prince knew what to expect if he was caught. He wasn’t, luckily for him (speeding off to the Isle of Skye on his bonny boat, as the old song has it, and thence to a life of exile in France), but the Scots Highlanders who had supported him were not so fortunate. The Battle of Culloden lasted just over an hour, say the records. However, the aftermath of the English victory was not only a massacre of the wounded, but a prolonged killing or displacement of the clansmen, their women, children and the elderly. It was a systematic programme, more or less successful, to civilise the highlands, bring them under the rule of law, and to suppress the Gaelic language and tribal culture. Hanging drawing and quartering was apparently not considered a seemly punishment for women, for whom burning was the favoured punishment in those times. The last burning in England took place in 1789 – the year of the French Revolution (‘Liberty, Equality and Brotherhood’, you remember!). The more anatomically specific alternative for males remained in force rather longer. The last man in England to suffer the fate of William Wallace was hanged and beheaded in 1817. Several more fortunate rebels actually faced the penalty in 1839 – but their sentence was commuted to transportation, and butchering as a punishment was finally removed from British law in 1870. Well, that’s all very interesting, I hear you say, but what relevance does it have for the post-modern world. Even Turkey, with its reputation for human rights abuses, could not possibly condone such treatment of political prisoners or even terrorists. And you’d be right. Capital punishment itself was abolished completely in Turkey in 2004. Nevertheless, an event in 20th century Turkish history has recently seen the light of day, and warrants a little examination. Dersim, now known as Tunceli, is an area in eastern central Anatolia, traditionally home to Alevi, Zaza and Kurdish people. According to one source I came across, this was the last area within the Turkish Republic to be brought under government control. It is not easy to come to a clear understanding of who these people are. Kurds are an ancient race, of Iranian origin, speaking a language with Indo-European roots. Many of them espouse the Alevi branch of Islam, held to spring from the Shi’a sect (not of much consequence in Sunni majority Turkey), but with connections to earlier religions and much older folk traditions. Zazas, it seems, generally incline to Alevism, but there is scholarly debate about whether their language is related to Kurdish, or distinct from it. Undoubtedly there was a certain amount of brigandage and banditry, and government attempts to impose the rule of law may have met with actual physical discouragement. We may think that the situation was similar to that of the Scottish Highland clans prior to the final solution discussed above, with one major difference: we are talking about the 20th century here, rather than the 18th. The Turkish Republic was a mere fourteen years old, and in a pretty parlous state. Republican reformers, led by Mustafa Kemal Atatürk, were attempting to forge a nation from the ashes of the defeated, divided and defunct Ottoman Empire. They were trying to create an identity based on the hitherto unpopular concept of Turkish nationalism; to establish a modern, secular democracy in a land whose tradition was Islamic, monarchic and borderline medieval. Their eyes were fixed on European models of civilisation, most of whose representatives had long since suppressed and/or civilized their last remnants of nomadic or pastoral tribalism. Furthermore, we are talking about the 1930s, not a period much renowned for the tolerant treatment of troublesome and undesirable minorities. So what happened in Dersim? It seems the government of the day made attempts to assimilate the Alevi Zazas into their brave new secular civilized Turkish Republic – and the local tribes objected, to the point of open rebellion. The government, needless to say, had recourse to military coercion. Many died, villages were destroyed, local people were displaced, martial law was established, there was a general ban on the Kurdish language, dress, folklore and names, and, as one would expect, a good deal of anger and enmity continued to seethe underground. Well, you can’t make a civilisation omelet without breaking a few eggs, it seems. So what’s the solution? The present day government of New Zealand is not about to hand Aotearoa back to its indigenous Maori inhabitants; just as the British government continues to resist attempts by Scottish nationalists to cede from the Union and go it alone. No Turkish government will ever accept the handing over of its eastern provinces to an independent Kurdistan, even if the majority of ‘Kurds’ wanted it – something which is by no means certain. However, the Turkish Prime Minister, Mr Erdoğan, recently apologized publically  for the events known collectively as the ‘Dersim Massacre’. It’s a step in the right direction, isn’t it! You can’t ever right the wrongs of history. History itself is a progression of successive societies, chieftains, monarchs, invaders and whatnot, asserting their pre-eminence, and imposing their will on others by the right of might – irrespective of whether the ‘others’ may have had a prior and better claim to the territory in question. Nevertheless, smart leaders of the victorious party tend to apply the principle of enlightened self-interest. The new nation you seek to establish, the new civilisation whose superiority you assert, will have a better chance of long-term success if you give the conquered people a share of its fruits. Nelson Mandela understood this when he became the first democratically elected President of the Republic of South Africa in 1994. Mandela had spent 27 years of his life in prison, a victim of the apartheid political system that allowed white people, making up 10% of the population, to rule and oppress the non-white 90%. It would have been understandable if he had taken the opportunity to exact revenge from his persecutors, now that he was in power – but he didn’t. He encouraged his people to work on a process of reconciliation, to heal the wounds of the past and take the reborn nation forward. The Ottoman Empire, for all its failings, survived for more than six centuries, and one reason for its longevity may have been the millet system, whereby it granted freedom of religion, use of language and practising of traditions to the disparate groups within its borders: Orthodox Greeks, Armenians and Jews, as well as Muslims of all shades. The British Empire may have been geographically the largest the world has known, but even the most generous historian would not grant it a span of much more than 300 years. More realistically, the 19th century and twenty or thirty years either side of it would encompass its actual period of dominant power. Interestingly, the British one was probably the only Empire that never had an Emperor. Its subjects owed fealty to the King (or Queen) of England – a rather remote concept for most of them, and the requirement to accept a homogeneity of language and culture may have hastened the empire’s demise. But I’m not here to criticize the Brits. My purpose is to congratulate Mr Tayyip Erdoğan for his efforts in reaching out to the unhappy Kurds and Zazas among the citizens of Turkey. Admittedly, his motives have been called into question by some. He has been accused of taking advantage of a sensitive issue to score points against his main political rival, Kemal Kılıçdaroğlu, whose family apparently has Kurdish/Alevi origins in the Tunceli/Dersim area. Well, it’s an unusual politician who does not avail himself of an opportunity to make political capital, and I’m not going into that matter either. Mr Erdoğan’s words will be measured against his actions in the future. Any apology for past wrongs will be hollow without governmental measures to extend financial support to Turkey’s impoverished and disadvantaged citizens in the east, many of whom are Kurdish. Schools and hospitals are needed, and industrial development to provide employment opportunities. Poverty and deprivation are the soil in which rebellion and terrorism flourish. Alleviating these conditions will not make all the malcontents disappear overnight – but it will at least deprive them of a receptive audience. In February 2008, the former Prime Minister of Australia, Mr Kevin Rudd, made a formal apology to the aboriginal people for more than a century of cruelty, oppression and marginalization inflicted on them by successive governments. It’s too early to say whether Mr Rudd’s words will result in action to reduce the dreadful rates of infant mortality, educational failure and unemployment, alcoholism and drug abuse, petty crime and imprisonment, among Australia’s indigenous people – but certainly, without recognition and apology, nothing can change. I want to make two points here. The first is that, unfortunately, no civilized society can tolerate outlaws, despite their traditional romantic appeal. Pretty much every modern civilized society you care to examine has, somewhere in its history, an event or two where it felt obliged to use force to suppress a group whose continued existence was perceived as a serious threat to its own integrity and stability. We’ve mentioned the United Kingdom and Turkey, Australia and New Zealand. We could go on to look at the United States’ treatment of Native Americans, or its catastrophic Civil War, fought to prevent a division into Union and Confederacy – but you get the gist. My second point is that such use of force can, however, only be justified in the long-term if the result is a stable civilized inclusive state, the benefits of which extend to the vast majority of its citizens. 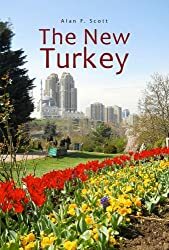 The Republic of Turkey has, since its inception, looked to the West as a model of cultural and economic development, of democracy and civilisation. The West, for its part, has often chosen to judge and belittle Turkey for its perceived backwardness and barbarity. It is important, then, for Western nations, if they are to maintain the moral high ground, that their civilized democratic institutions demonstrate a capacity for inclusion. Unfortunately, recent events seem to suggest that they do not. ‘Occupy Wall St’ protests have spread to major cities all over the developed world, suggesting a ‘Capitalist Spring’ (or ‘Autumn’) that has elicited outbursts of government force to suppress it. One of the rallying cries has been ‘We are the 99%’ – the supposed proportion of society held in economic servitude to the 1% elite. I don’t have the numbers at my fingertips, but I have to say that I feel a 99:1 split may be exaggerating the situation a little. However, one statistic I did come across in the last week gave cause for alarm. A General Election was held in New Zealand the weekend before last, and reports are saying that voter turnout was, at 65%, the lowest in more than a century. Certainly, the implication that 35% of the voting-age population are so disaffected that they do not bother to exercise their democratic right is disturbing. General Elections in the UK in recent years have produced a similar ominous trend. Figures in the USA are even more striking. Statistics show that the proportion of eligible voters turning out to choose a new President hovers around 50 to 55%. If you look at mid-term Congressional elections the percentage drops below 40! Well, it would require more exhaustive research than I have time for, to demonstrate a clear correlation between these voting patterns and the August riots in UK cities, the Wall St protestors, the general increase in terrorist activity around the globe, and the huge popularity of movies with anti-establishment heroes like William Wallace. All I can say for certain is that I applaud Tayyip Erdoğan for extending a hand of apology and reconciliation to the victims of the Dersim rebellion – and I fervently hope that his words translate into actions which will achieve a more equitable distribution of wealth in his rapidly developing nation. This entry was posted in Dersim Massacre, Economics, Kurds, millet system, Ottoman Empire, Recep Tayyip Erdoğan, Turkish Republic. Bookmark the permalink. Hi Alan, I really enjoyed the post but I think it might be using the word “civilized” a little too uncritically at times. It is not “civilized” to massacre large numbers of people — but then again maybe it is, since modern “civilized” nations seem to be the primary committers of genocide. Either way, I think “civilization” was used as a discursive justification in all of these cases, where as the real point was the establishment of a certain regime of power over other local forms of sovereignty. The only way in which the victors were “civilized” is in the possession of more advanced killing machines. Hi Perin – Thanks for the feedback. You're right, of course. Massacres of helpless people are never excusable. Unfortunately, they happen, and , as you say, modern 'civilised' states are equally prone to committing them. Then, of course, the only possible moral justification of their action is: that the new victorious regime brings greater good to all.